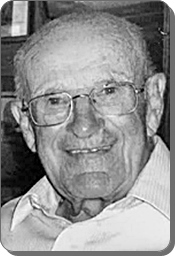 Jacob "Joe" Lukso; (Joe's Garage), passed away at home on Tuesday, June 19, 2018 at the age of 93. Prior to his 50 plus years of owning his mechanics garage, he served in the U.S. Army. He also owned a transportation fleet of trucks, brokered and dispatched through Central Transport. Anyone who knows Joe will always remember him as the Joke/story teller he was. Joe enjoyed hunting, fishing, car races, and the Golden Gloves. His younger years he was a regular spectator/pit attendee to many driver friends at Berlin Raceway and other Michigan tracks. He would also travel out of the state to take in some NASCAR races when time allowed. Fishing became his pastime as well. He was the longest/oldest ticket holder at the Grand Rapids Golden Gloves, only missing this year due to his cancer progression. Joe's accomplishments could not have been as successful without his bride of 51 years, Marian L. (VanDam) Lukso, who we lost 20 years ago to cancer. They leave behind their six children, Joe (Marilyn) Lukso, Norma Jean Peterson, Steve Lukso, Susan (Frank) Suidinski, Mike Lukso, Bob Lukso; four grandchildren; seven great grandchildren; one great great grandchild; several nieces and nephews. He also leaves behind his beloved sister, Mary (Jerry) Graham. Joe and family greatly appreciated all the family, friends, neighbors who helped in his time of need. We would like to also thank Heartland Hospice, Azpira Place, and Gauthier Home Nursing. We invite friends and family to a casual gathering for a celebration of his life on his 94th birthday Sunday, June 24, 2018 from 3 to 6 pm at his home, 4300 Clay Ave., SW "Joe's Garage". A light supper will be served. Cremation has taken place and a private family burial will be held at a later date.